★3. Hardness and toughness coexists in our Japanese VG10 stainless steel. which means sharpness and the feature of no need sharpening coexist. ★4. Our 8-inch professional chef knife is a great all-rounder that is suited for dicing onions,mincing shallots, chopping herbs, crushing garlic, slicing meats and shredding cabbage. ★High quality material:The core is made of VG10, the Japanese Super Stainless Steel, and clad with softer steel for protection. 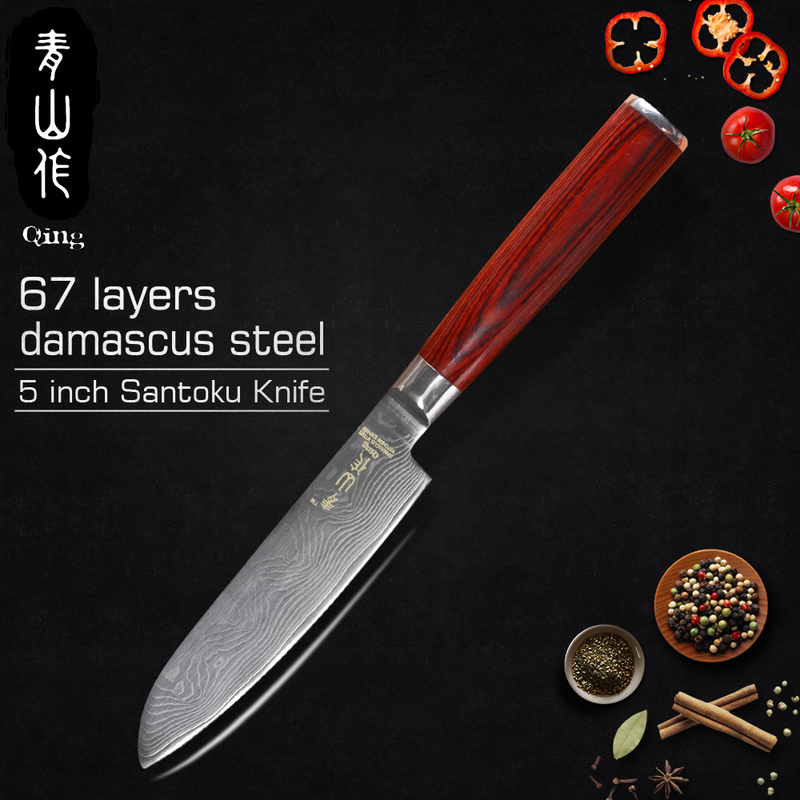 The result is a superb 33 layers DAMASCUS steel blade combining ELEGANCE and HIGH-PERFORMANCE. ★No sharpening, clipping. Urtra sharp and rustless: we all know that hardness and toughness are 2 features which normally can not coexist in one thing. But Japanese VG10 stainless steel is an exception. In order to pursue extreme cutting feeling and practical knife using. VG 10 stainless steel came into the world. The HRCS hardness reaches to 60, it means urtra sharp and no sharpening. The roughness features no clipping and rustless. ★ User-friendly: The chef’s knife is lightweight and well balanced, so you won’t feel bogged down. It has a good ergonomics that reduces the chance of experiencing aches and cramps on the finger after use. Its fluted edge minimizes the possibility of food sticking to the blade. All products are examined carefully before storage, and packed well for shipment. Please choose the right size or color for what you want, we will send the parcel as your choose in the order. For those products more than one color to be chose, please leave message for the colors you wants, otherwise we will send out your order with random color. Product images were taken in kind, for display, light, environment reasons maybe a slight deviation phenomenon, please in kind prevail. Due to manual measurement, there maybe 1cm-3cm tolerance, please kindly understand and make sure you do not mind before you place the order. Usually, we will send out the parcel within 48 hours after received the payment. If the transaction is in the Hong Kong and China public holiday, the handing time would be delayed, Please understand. If you want express delivery (EMS/DHL/FedEx/UPS), please contact us, we will calculate the postage for you, or you can check Shipping & Packaging for reference. All products are packed by manual, there may be a little mistake, if you get a wrong item or defective one, please feel free to contact us immediately, we will compensate you, thank you for your understanding. We sincerely invite you to leave Positive Feedback for us if you are satisfied with our product and service. Your feedback is very important to us and be encouraged to us, we will try our best to fix any problems you might be having and offer you the best service, Thanks for your support.